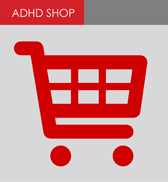 Does your ADHD make you prone to impulsive spending and poor money management? Do you have trouble sticking to a budget, saving money, handling debts, keeping financial records? Then don’t miss our guest speaker talk about about free, independent and confidential financial counselling. Plus practical, simple strategies to help you manage your money effectively. WHEN: Saturday, 2 June 2018 2.00 to 4.30pm. WHERE: The "Howard Guiness Hall", St Barnabas Centre, 57-61 Mountain Street, Ultimo near Broadway. We look forward to seeing you there. All welcome. Don't miss this important topic. REGISTER here - and help us prepare seating and catering. Publications and resources will be on sale, and handout information will be FREELY available. $5 donation appreciated on the day - to help cover the costs. VIEW OR DOWNLOAD THE FLYER.